The ISCB 2019 conference will provide a scientific forum for international exchange of theory, methods and applications of clinical biostatistics among biostatisticians, epidemiologists and other medical researchers. 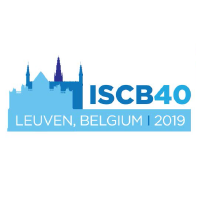 The Scientific Programme Committee and Local Organising Committee for the 40th Annual Conference of the ISCB are pleased to announce that we are seeking proposals for pre-conference courses to be included within the conference programme. The courses will be held on Sunday, July 14, 2019. Please check also that the course topic has not yet been covered in recent ISCB meetings (see the list enclosed at the end of this new). Financial incentives: For successful proposals, the conference budget will cover registration fees, attendance at the conference dinner, the cost of travel (economy flight, at most one overseas), and the cost of two night’s accommodation per course.